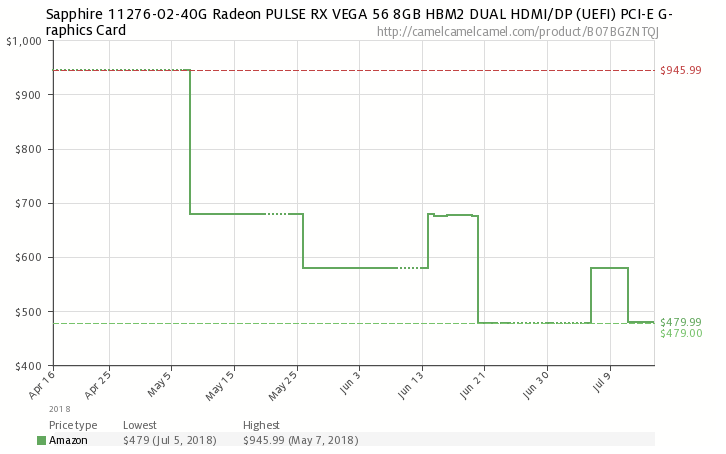 With whispers of an approaching NVIDIA GeForce GTX 11 series launch and talk of a yearly AMD Radeon product launch cadence, graphics card prices have continued to drop significantly over the past several months as cryptocurrency mining demand died down and gamers seemingly put off upgrades looking forward to the next generation of NVIDIA and AMD graphics cards. 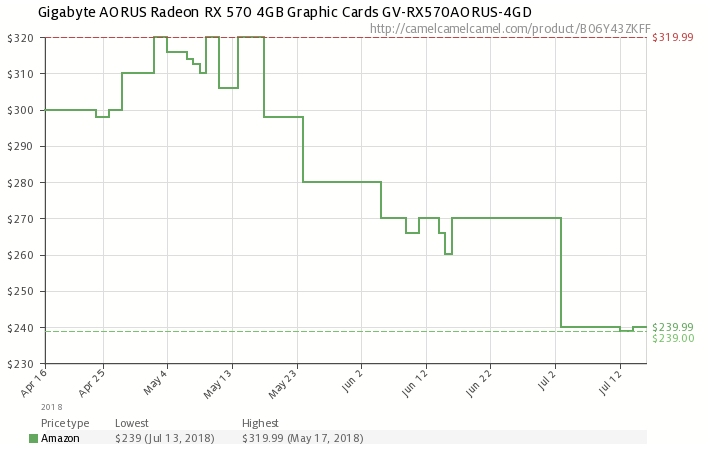 This in turn has led to a healthy accumulation of GPU inventory in the add-in-board channel, bringing prices down back to sanity. 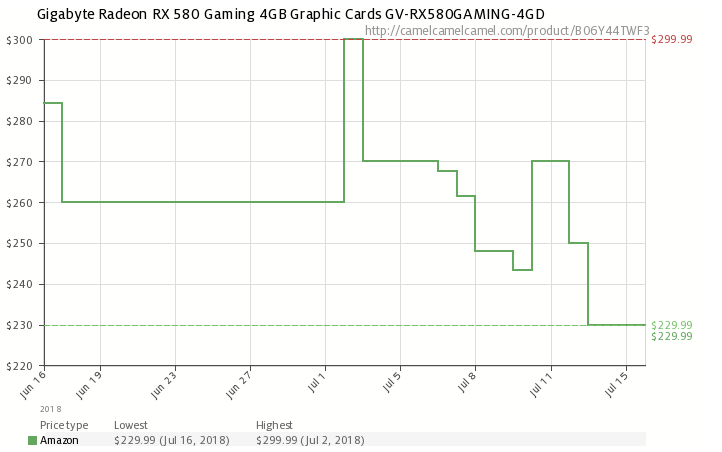 We noticed the first real drop in GPU prices back in March, which saw prices go down by roughly 25% across the board. 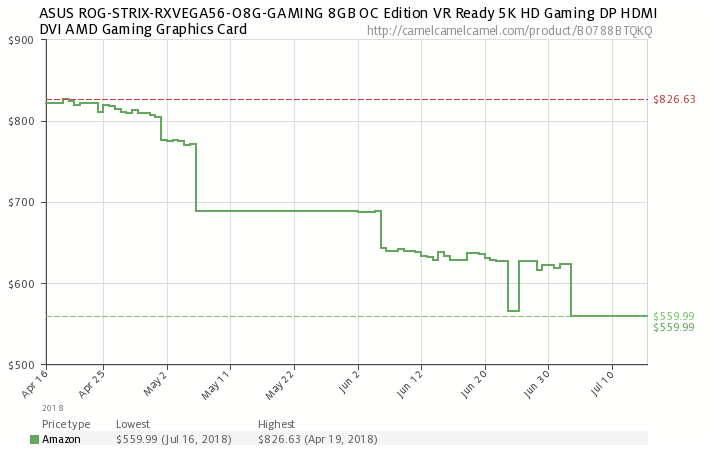 Pricing stagnated somewhat during next couple of months as pent-up demand from gamers compensated for the declining cryptocurrency demand. 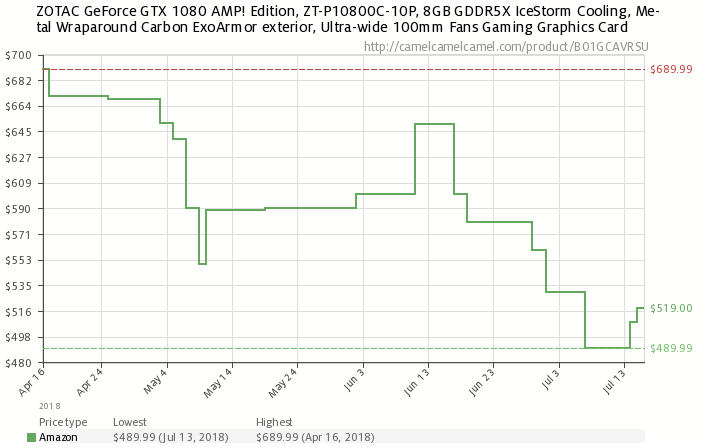 Over the past month and a half however, we have seen that short-term stagnation end sharply with prices heading down again across NVIDIA’s and AMD’s graphics card line-ups by up to 18% since the end of May, signaling a continuation of the downtrend in GPU prices that first began back in March. 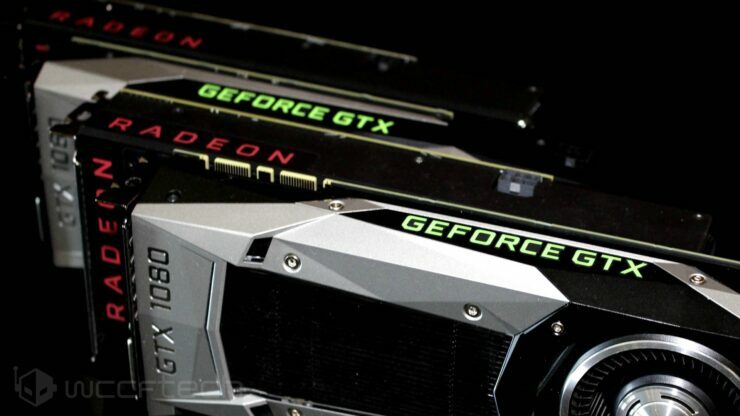 A trend that’s likely to continue well into the end of summer and the back-to-school season as NVIDIA prepares to introduce its new family of gaming GeForce graphics cards and talk of AMD doing the same before the year’s end on the Radeon side. And it’s not just happening in Europe, we’re seeing prices go down on a global scale, including in the US. 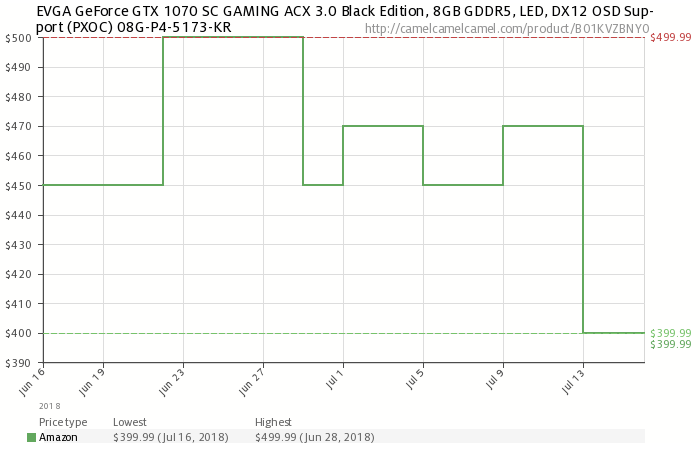 This is all of course wonderful news for gamers who have been hammered with terrible pricing and a nearly non-existent supply of graphics cards for nearly 9 months prior to March. But it can also be bad news for NVIDIA & AMD as they see their revenues decline and could even face issues with an overwhelming supply of GPUs that they can’t get rid of fast enough ahead of their upcoming product launches. In fact, there’s talk in the tech-sphere that this is precisely why NVIDIA hasn’t announced any new products yet and won’t be doing so until it can get rid of its excess supply of Pascal graphics cards, otherwise it will struggle to sell its older generation products when the new toys hit which we’re hearing could be as soon August at Gamescon. NVIDIA RTX 2080 Ti, 2080 & 2070 Gaming Performance – 50% Faster vs. Pascal, But is it Worth it?